New Hampshire is home to a wealth of nano-, micro, and multinational microbreweries that produce a wide range of creative, exciting and unique beers in a variety of styles. Brewing companies vary widely in the volume and variety of beer produced. Located in Portsmouth, New Hampshire, Earth Eagle Brewings offers a unique range of beers that replace hops with other less familiar ingredients. Co-founders Alex McDonald and Butch Heilshorn follow ancient brewing recipes that had brewers using locally found herbs and plants such as catnip, galangal root, Mandrake, mistletoe, mugwort, and spruce tips to balance out the sweet malt and to act as a preservative. Aiming to give visitors a more adventurous taste experience, Earth Eagle Brewings is a champion of gruits, the name given to beers that eschew hops for other less common ingredients with signature beers like the favorite New England Gangsta’ and Ancestral IPAs, Chiefy LaRoux (Belgian pale ale), Black Adder (milk stout), and Kiichigo (a dunkelweizen brewed with raspberries). Tuckerman Brewing Company is family-owned and operated a brewery in Conway, New Hampshire that produces delicious year-round mountain brewed beers, such as the Tuckerman Brewing pale ale, an Altbier, and the 6288 Stout. Named after the nearby Tuckerman Ravine in New Hampshire's Mount Washington Valley, the award-winning brewery was founded by Nik Stanciu and Kirsten Neves in 1998 and is one of the state's best small producers today, garnering numerous awards for its unique beer recipes that celebrate the region's popular hiking and skiing destinations. Tuckerman Brewing Company is a mainstay in Conway for both beer aficionados and amateur beer-lovers alike and hosts a variety of tours, tastings, fundraisers, and festivals throughout the year. Located in Bow, New Hampshire, Lithermans Limited Brewing Company is a 6 BBL brewery that focuses on producing unique, handcrafted, artisan ales and lagers in a variety of unusual and unknown styles. 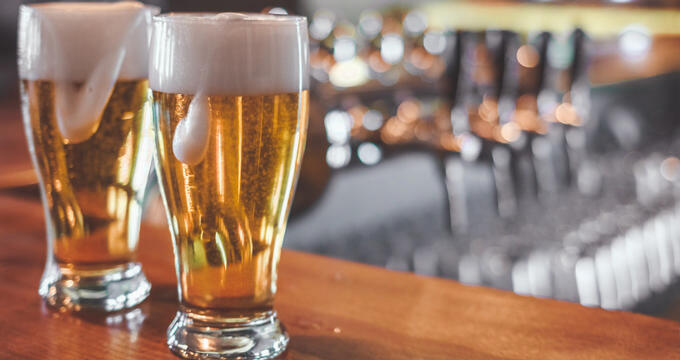 Bringing over 19 years of brewing experience to the fore, Lithermans Limited Brewing Company sells their beers at both the tasting room at the brewery and in the more elegant restaurants and beer stores throughout the state. Inspired by music and a passion for homebrews, the brewery’s flagship beers include a Belgian style Saison "Tangled up in Bruges" made with seasonally available ingredients, such as Munich-roasted oats, and their flagship Simply Red Ale, a 9% abv Imperial American Red Ale. The taproom offers flights and pints, as well as light fare, and 32 and 64 oz growler fills with 8-12 beers to go. Based in Nashua, one of the great New England city that has its foundations in the textile mill industry of the 19th and early 20th centuries, Millyard Brewery is a small-batch brewery that was inspired by the surrounding history of the city and the mills that used to operate there. Reflecting this rich heritage, the brewery produces four year-round beers named in honor of local history, such as The Amoskeag Pilsener, named for Manchester’s Amoskeag Mills; The Jackson IPA, named for the Jackson Manufacturing Company, one of the local mills in the mid-1800s; Boot Porter, named after Kirk Boot, a founding leader of the Merrimack Mills in Lowell; and Millyard Brewery’s session ale, the Nashua Pale Ale. In addition to the core beers, Millyard Brewery also produces seasonals as well as limited specialties, which can be tasted in the taproom at various times during the week. Named for the inspirational actions of New Hampshire citizens who rallied behind Ebenezer Mudgett in 1772 to defy British oppression in what was known as the Pine Tree Riot, Able Ebenezer Brewing Company was founded in 2013 by three former US Army Officers and aspiring entrepreneurs. Inspired by local New Hampshire revolutionary history, and driven by their love of beer, Able Ebenezer Brewing Company was born and has been producing and delivering revolutionary beers and providing exceptional craft ale experience ever since. 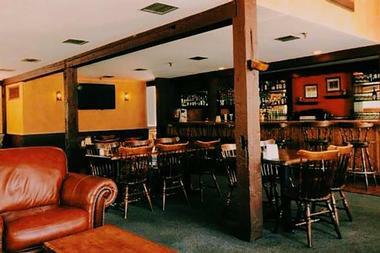 Located just off the Daniel Webster Highway in Merrimack, New Hampshire, the Able Ebenezer Brewing Company produces signature beers such as the Auburn Ale (American Red), Burn The Ships (Smoked IPA), and Broad Arrow IPA, which are available in one liter or two-liter growlers, kegs, and flights. The Tasting Room is open Wednesday through Sunday at various hours and live music and entertainment such as trivia nights are hosted throughout the week. Big Water Brewery began as a home project in Salisbury, NH and has since grown into a small three-barrel nano-brewery that produces a range of innovative handcrafted brews, which are available in over 60 retail stores statewide. Owned and operated by full-time school teacher, Ben Jones, out of his house in Salisbury, the brewery features a three-barrel brew system that produces twenty 50-gallon barrels and 3,400 22-ounce bottles of beer. Signature beers include Petit Sour, Blackberry Creme Ale, Citrus Sour, Two-Year Sour, Sour Blueberry Ale, and a unique Belgian Triple Ale, all of which can be purchased in select stores around the state. 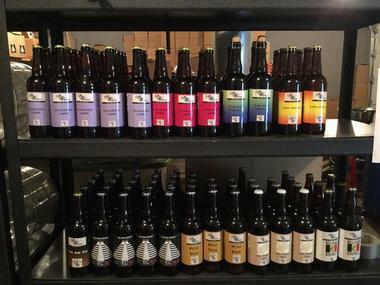 Border Brewery is a locally owned and operated brewery and retail store in Salem that has an onsite brewery producing a range of small-batch beers, as well as sells a variety of home brewing equipment and supplies. Bringing more than 20 years of brewing experience to the taps, Border Brewery has experimented with 50 recipes across a wide range of styles to perfect their offerings, which now include an Imperial IPA, an Extra Pale “Patio” Ale, and a Campfire Porter, among others. 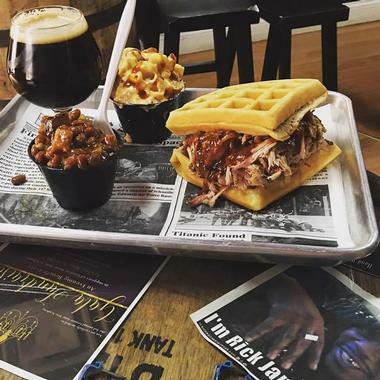 The brewery also offers authentic wood smoked barbecue prepared daily from the highest quality meats and freshest ingredients with homemade rubs and sauces. Barbecue is served Thursday through Sunday. Canterbury Aleworks is a one-barrel, water-powered and wood-fired nano-brewery that produces handcrafted beer with a local flare. Locally owned and operated by Steve Allman, who founded the brewery in 2012, Canterbury Aleworks was established to produce authentic beers and serve them in a relaxed, low-key atmosphere. 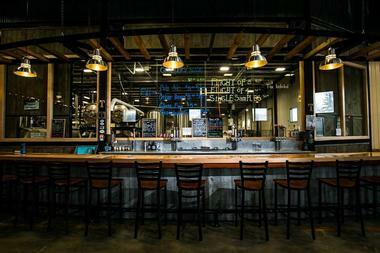 The brewery features a tap and tasting room with an eight-tap bar and a 20-seat tasting area which features customized tables made from beer barrels, where visitors can sample of the brewery’s wares. Signature seasonal brews currently on tap include Tim's Bitter Boddi, an English style beer with mid-level hoppiness; Bright Idea, a German Helles style ale; Old Darn Bard, a British brown ale; Snappy Wit, a Belgian style wheat beer; and Granite Ledge espresso-oatmeal Stout. 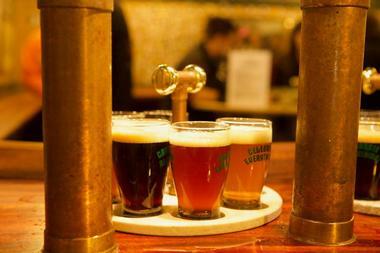 Other favorites include Be Hoppy, an India Pale Ale, Canterbury Ale, an American style Pale Ale, and Smoke House Porter. Canterbury Aleworks is located at 305 Baptist Hill Road and is open to the public on Saturdays and Sundays. Located in downtown Concord, Concord Craft Brewing Company was the town’s first downtown microbrewery and produces small batch, flavorful handcrafted beers in a state-of-the-art facility in downtown Concord. The brewery uses sustainable practices such as sourcing grains from local farmers, using recyclable packaging and materials, and a sustainable water supply for the brewing process. 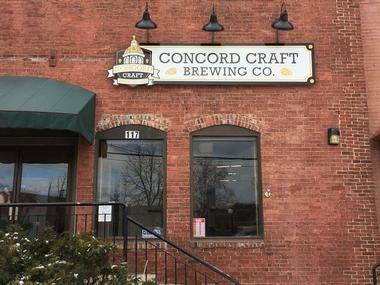 Concord Craft Brewing Company produces signature brews including a porter, a Kölsch, and an India pale ale, with top sellers, bring The Gov'nah and the Kapitol Kolsch, which can be sampled at the brewery Wednesday through Sunday or purchased at various bars, restaurants, and stores throughout the region. 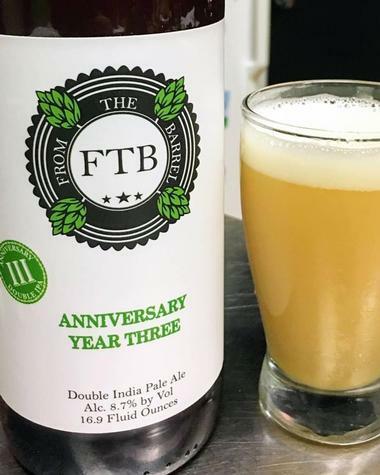 From the Barrel Brewing Company is a nano-brewery in Londonderry New Hampshire that brews small batches of fresh craft beer, offers brewery tours and tastings and sells 32oz growler fills and 22oz bomber bottles at the brewery. The brewery has a rotating tap list and a variety of hop forward brews as well as a solid selection for the non-hop heads, including Rockingham Brewing 10,539 Black IPA, Rockingham Brewing 4 Squared = the Square Root of 256 India Pale Ale (IPA), Pale Ale American Pale Ale, and Alana American Pale Ale. Located right off exit four on I93, From the Barrel Brewing Company has a tasting room which is open Monday through Sunday at various hours. Garrison City Beerworks is a 3bbl nano-brewery in New Hampshire's Seacoast that focuses on producing high quality, innovative craft beer that is rich in aroma and taste. 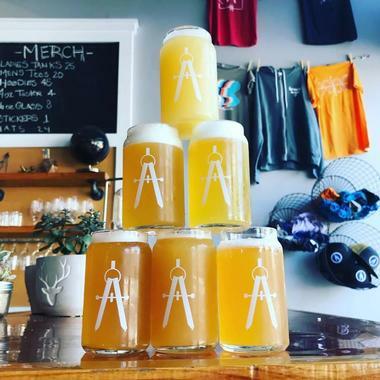 Located in Dover, NH, Garrison City Beerworks has a constantly rotating selection of beer in a variety of beer styles on tap and offers 4oz, and 12oz pours of their current draughts and a limited run of cans on Wednesdays. In addition to unfiltered IPA, the brewery’s smaller brewing capacity allows the ability to brew many one-offs and experimental series outside of the core beer series. These include Ember, Sonny's, Tokens, Hop & Grind, Joinery, and Oak House, as well as cans of Edison, Spindrift Lemonade, Stalwart Campfire, and Daybreak. An outdoor patio is available for tastings in summer and dogs are welcome. 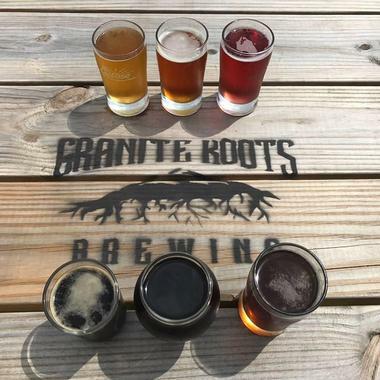 Granite Roots Brewing is a 2.5-barrel nano-brewery located in Troy, New Hampshire that produces bold traditional ales and unusual fruit beers using locally sourced and farmed ingredients that reflect the diverse agricultural landscapes of the Monadnock region. The brewery produces traditional ales, such as core brews like Witty Blues, a refreshing Belgian Witbier; Greenway IPA with caramel malts, Gose Well With Hiking, Velvety Antlers, and Monadnock, along with seasonal and limited release beers. Granite Roots Brewing sells a variety of beer-related merchandise, apparel and clothing, growlers and souvenirs and is open for tastings Thursday through Sunday. 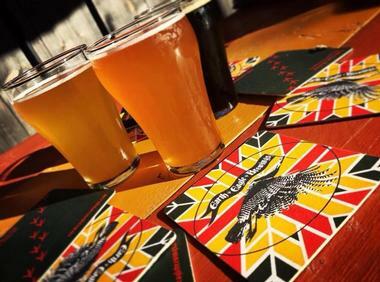 Overlooking the picturesque North Mill Pond in beautiful downtown Portsmouth, New Hampshire, Great Rhythm Brewing Company is a craft brewery that produces a continually rotating selection of draft beers, along with a range of seasonal and limited release brews. 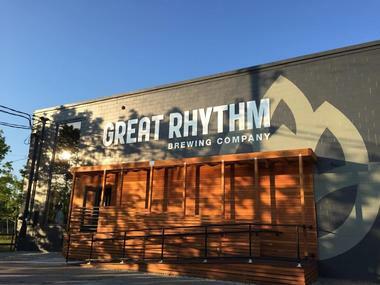 Inspired by the East Coast lifestyle, a love for great quality beers, and a passion for music, Great Rhythm Brewing Company was founded in 2012 by Scott and Kristen Thornton with the aim of creating the most aromatic and flavorful beers for every occasion. The taproom is at the center of the brewery with two large communal tables, a variety of constantly rotating drafts on tap, good tunes pumping out from the speakers, and a lively, friendly ambiance. Draft beers are available in 4 oz., 12 oz., and 16 oz. pours, as well as flights, and all canned beer, except for the Resonation Pale Ale and Tropical Haze IPA, are available for purchase at the brewery only. 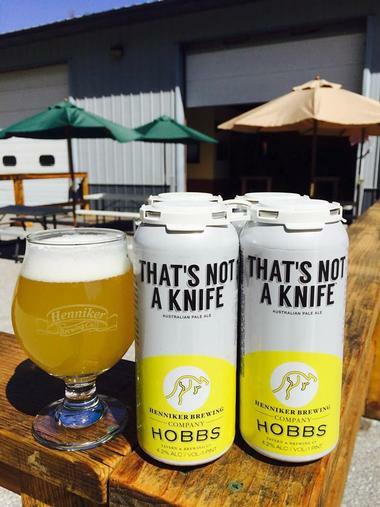 Henniker Brewing Company is an unpretentious local brewery and taproom that produces a range of handcrafted beers and hosts various tasting events throughout the year. Founded in 2011, the Henniker Brewing Company handcrafts beer using only the finest ingredients to create brews that reflect the authentic New Hampshire spirit of independence, hard work, and hometown pride. Signature year-round beers include Hop Slinger IPA, Henniker Kolsch, Working Man's Porter, Miles & Miles, Damn Sure, and Wait a Minute, while the Pound It! Series features the hoppy farmhouse ale, Rustique, Sour Flower, The Roast, and Splitter. 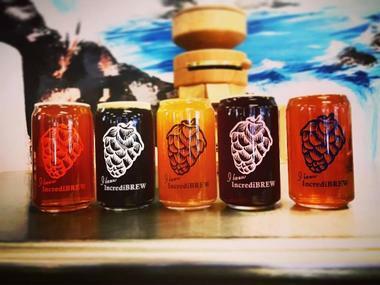 IncrediBREW is a lab-like brewery in Nashua, New Hampshire that offers customers the opportunity to brew their beer. Founded in 1995, IncrediBREW was the first of its kind and is the oldest brew-on-premise brewery in the country, providing all the equipment necessary for customers to make their beer, champagne, wine, and soda. The brewery offers over 200 craft beer and 30 wine recipes, professional brewing equipment, fresh commercial-grade ingredients, and a wealth of professional and invaluable expertise to help customers brew world class beer, make quality wine, and old-fashioned soda. Seasoned homebrewers or amateur beer and wine enthusiast are welcome to come and enjoy a unique and fun-filled experience. Kelsen Brewing Company was founded in 2010 by two friends with a passion for beer who followed their dream of opening a brewery, and the award-winning Kelsen Brewing was born. 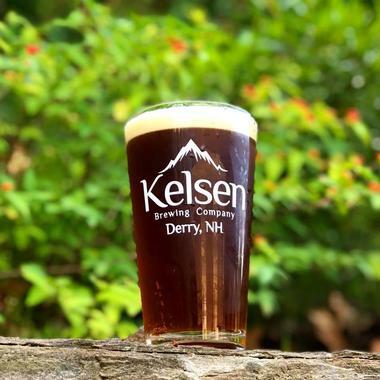 Located in Derry, New Hampshire, Kelsen Brewing Company produces full-flavored, aromatic beers 7bbls at a time with complex malt profiles and unique combinations of hop flavors and aromas. Signature brews include the Gold Medal Winning Battle Axe IPA and Paradigm Brown Ale, the acclaimed Draken Robust porter, A Hoplite Soldier, Vendel Imperial Stout, and the experimental 6.7 IPA. These award-winning beers and more can sample in the taproom, which is open Tuesday through Sunday at various hours. Founded by two friends, Liars Bench Beer Company opened its doors and taps in 2015 and had been producing and serving exceptional and exciting high-quality beers ever since. 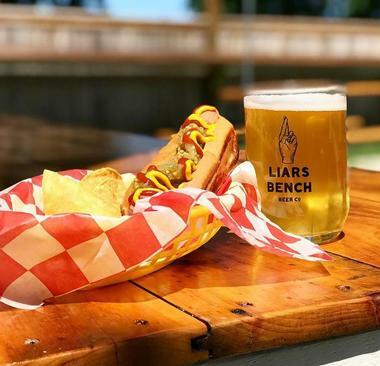 Housed in an old plumbing supply warehouse in Portsmouth, New Hampshire, Liars Bench Beer Company produce small batch handcrafted brews with lower ABVs in a wide range of styles. The blossoming 600-barrel-per-year brewery features signature beers such as Aunt Mary, a Belgian Dark Ale, Babble-On, a Saison / Farmhouse Ale, Bermuda Tattoo, an American IPA, Bitter Lad, an Extra Strong / Strong Bitter, and Bu La La, a Flanders Oud Bruin. 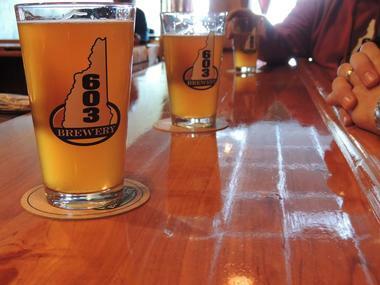 Located in Londonderry New Hampshire, 603 Brewery was founded in 2012 by three longtime college friends through a mutual love of craft beer and has been producing a select range of quality brews ever since. Established with the aim to be a true local New Hampshire brewery that focuses on absolute freshness and exceptional quality, 603 Brewery uses 15-barrel steam fired system to handcraft a range of beers that include year-round, seasonal and limited beers. 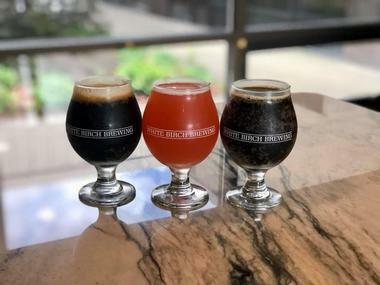 Signature brews include year-round like the 18 Mile Rye Pale Ale, the Granite Stout, and the NH Ale; seasonal brews like the Coffee Cake Porter, and the Summatime Pale Ale; and limited releases such as the 9th State Red IPA, and the Black Ice. 603 Brewery offers are available in 16oz, 10oz, 5oz or flight pour options. 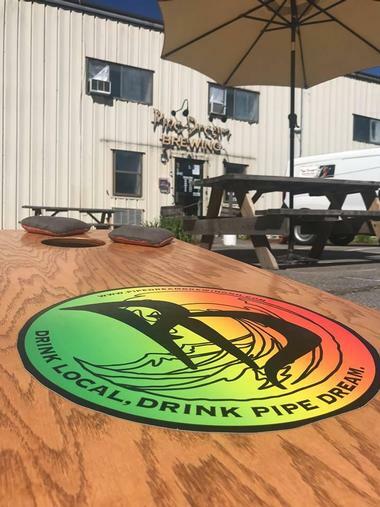 Pipe Dream Brewing is a veteran-owned brewery in Londonderry that produces West Coast inspired brews and ales and features a modern tasting room that offers light pub-grub style fare and brewery tours. Signature beers include Pop That Sour Peach, Little Miss Clementine (Coolship); Pop That Sour Raspberry; Funkin Sour Stout (Coolship Addition); Pop That Sour Cherry; California Common Style ale, and What The Fruit? 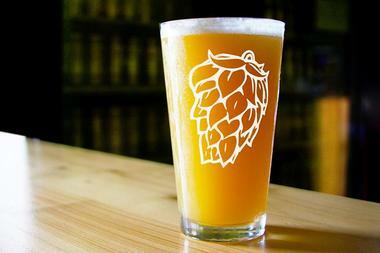 Beers can be tasted in the taproom, which is open Monday through Sunday at various hours. 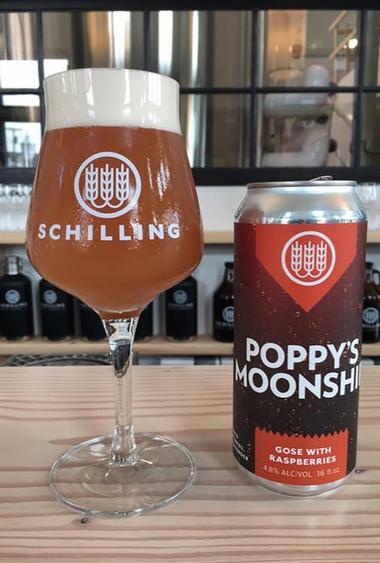 Schilling Beer Company is a buzzy brewery that produces progressive continental European-inspired beers along with light bites such as wood-fired pies and pizzas in an inviting atmosphere. Based in a beautifully restored 18th-century mill with an outdoor deck on the banks of the Ammonoosuc River in Littleton, New Hampshire, Schilling Beer Company brews in small (7-barrel) batches, using only the freshest locally sourced ingredients. Priding themselves on producing high quality beers and offering an unparalleled drinking experience, Schilling Beer Company has a taproom where the products can be sampled, such as Belgian-inspired ales like the Dr. Oovert (Belgian-style Dark Strong Ale) and the Belgo Azacca (Belgo Pale Ale), or Russo- and Scandinavian-inspired ales like the Kamarade (Baltic Porter, Nitro-Poured), Barrel-Aged Kamarade (Baltic Porter aged in Whistle Pig barrels), and the Fall of Babylon (Russian Imperial Stout). Founded by senior communications undergrad and homebrewer Pete Beauregard in 2013, Stoneface Brewing Company is an established brewery Newington that features a state-of-the-art 15-barrel brewing system equipped with multiple 30 and 15-barrel fermenters and produces a popular range of handcrafted beers. Stoneface Brewing Company produces about 3,000 barrels annually with a variety of core beers, such as the India Pale Ale (IPA), American Pale Ale (APA), Porter and Red Rye IPA, as well as seasonal and limited release brews like the Mozzacalypse or Mandarina Wheat. The brewery boasts a taproom that is always packed to the rafters with locals and visitors alike, who come to taste the fantastic beer in a friendly and convivial ambiance. 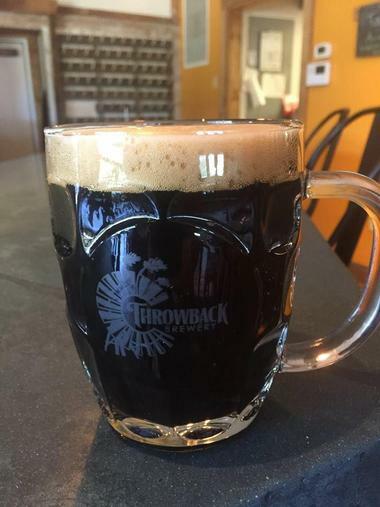 Throwback Brewery is a small, locally owned and operated brewery, working farm, and restaurant dedicated to crafting delicious, farm-fresh beers and homemade food from locally sourced ingredients. Named in honor of throwing a back a beer with friends and celebrating the good times, as well as a nod to the past, Throwback Brewery does just this by offering a relaxed gathering space where the community can go to enjoy great beer, food, and a friendly vibe. Located a picturesque 1860s post-and-beam barn on the beautiful 12-acre Hobbs Farm in North Hampton, the brewery is set on a farm with a hop yard, a beer garden, a variety of entertainment and games, and an array of farm animals from Nigerian dwarf goats to miniature donkeys. White Birch Brewing is a small brewery producing a range of handcrafted beers and seasonal offerings, as well as brewery tours and tastings and an on-site shop selling growlers-to-go. Founded by Bill Herlika in 2009, White Birch Brewing has since churned out more than 20 different beers, including a Belgian-style amber ale called Eerst, which was one of his favorite homebrew recipes. Breathing life into Old World styles with a range of creative American wild ales, barrel-aged Belgian tripels, and cherry-spiked beers, White Birch is an experiment in the unusual. Signature beers include NYX Black IPA, a bitter, but full-flavored Cascade hop with a smooth finish; the Hooksett Ale, a West Coast-hopped, malty red Belgian ale; the Hop Session Ale, an English-style red ale; and the Wrigian, a Belgian rye ale and go-to spicy food beer.